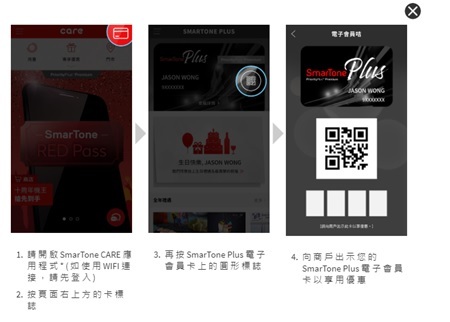 Please download SmarTone CARE app and present your SmarTone Plus membership eCard upon arrival. 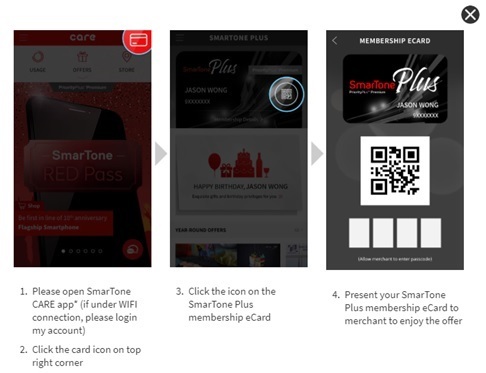 Please also present your SmarTone Plus membership eCard upon arrival. 1）a) Refund are not permitted for students who could not attend the course for personal reasons after the registration. b) Switch class are not permitted for students who could not attend the course for personal reasons after the registration. c) All Classes are not allowed to transfer to other person due to any personal reasons. 2） a) Please wear comfortable and stretchy sportswear (shoes are not required in class). Our center is facilitated with toilets, changing rooms and shoe cabinet for storage. 3）a) Stretching Group Classes are design to help release physical pain. Help our instructor to handle your personal issue(s) by notifying him/her in the first lesson if you have any kind of physical discomfort or pain. b) No doctors or physical therapists have advised you not to do any kind of stretching or strengthening exercises. 4）a) Please notify your instructor immediately and stop exercising if you experience discomfort during class. b) Please understand that there will be physical touches during class. Please inform your instructor if you are not comfortable with the touches. 5) Adaptation period：Please take note of your body sensation for the first 3 months especially if you are not used to physical activities; different body sensation e.g soreness/ referred pain are completely normal and will do no harm to your body. Please refer to your instructor if you have any questions. 6）All classes will be canceled when the Hong Kong Observatory announces during the time/period specified that Signal No. 8 or above/ Black Rainstorm warning is likely to be hoisted within the next two hours OR when the Signal is hoisted during the period. The Hong Kong Pain and exercise Center will schedule a makeup lesson accordingly. 8）Registered student(s) agree that he/she are not suffering from chronic illness or injuries; or have advices from healthcare professionals (i.e medical doctors or physiotherapist) which prohibit him/her to perform stretching and strengthening exercises. Registered student(s) also understand that The Hong Kong Pain and Exercise Center is not liable for any damages arising from personal injuries due to personal negligence while participating in and during participation of the Stretching Group Class; he/she understands and is willing to follow reasonable instructions made by all staffs at the Center. 9）In case of dispute, the company reserves the right of final decision on the interpretation on these Terms & Conditions. *Hong Kong Pain Free Exercise Center (“The System”, “We”, “Our”) as a data user will adopt the following policy to comply with the requirements of the Personal Data (Privacy) Ordinance to ensure that personal data kept are accurate, securely kept and used only for the purpose for which they have been collected. Unless consent has been obtained from the user of the System, information of the user will only be used for registering the event and other designated activities of Hong Kong Pain Free Exercise Center. We will never release any personal information to any other party.